Many a time there comes a situation while driving that our eyes get stuck to others number plates. The reason behind this is not the car type which is driven but the use of some phrase of number or alphabets in the car plates. Nowadays people make use of the alphabets or the numbers in such a manner which not only gathers the attention of other people but at the same time helps the people driving the vehicle to be secured in the same manner. • The plates are easily visible from even a far distance. One should take care that even after long use it is not coming out apart. • However, if you wish to replace it, take care to make use of the road legal number plates by visiting any store doing this work for a long period of time. 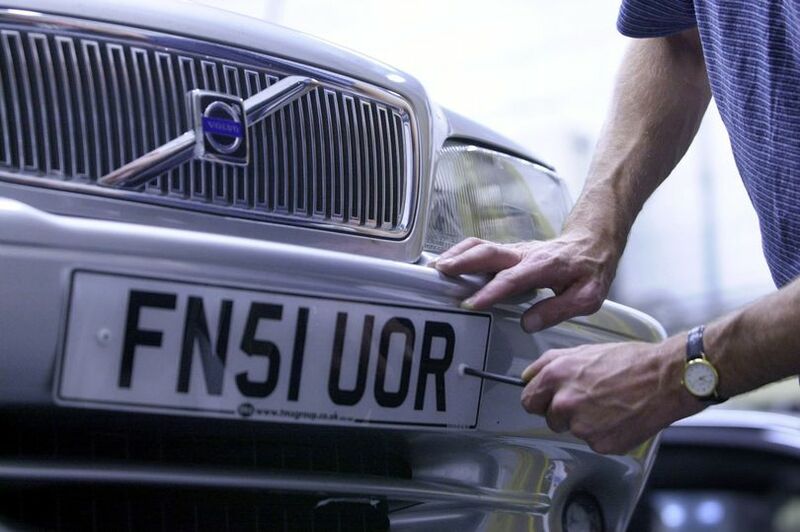 • No sooner the replacement number plates are being made, the damaged one needs to be removed. People generally make use of the screws or any sticky pads to get it stuck for a longer period of time. The car suppliers even provide free kits for fixing these plates during the time of purchase. • Font size: The font style opted for should not be bolded enough with a large and small size of style mixed up. The ultimate thing is that the entire number or the words of the plates should be visible enough even from a distance. • Backgrounds: The background of the number plates should not be distracting enough for the other drivers of the vehicle. The plates should be made up of simple colors of backgrounds which would at the end serve the purpose of it. • Color combination: A perfect combination of both the font and the background color needs to be made on the plates which would perfectly reveal and could be read even from the distance what is written on these plates. 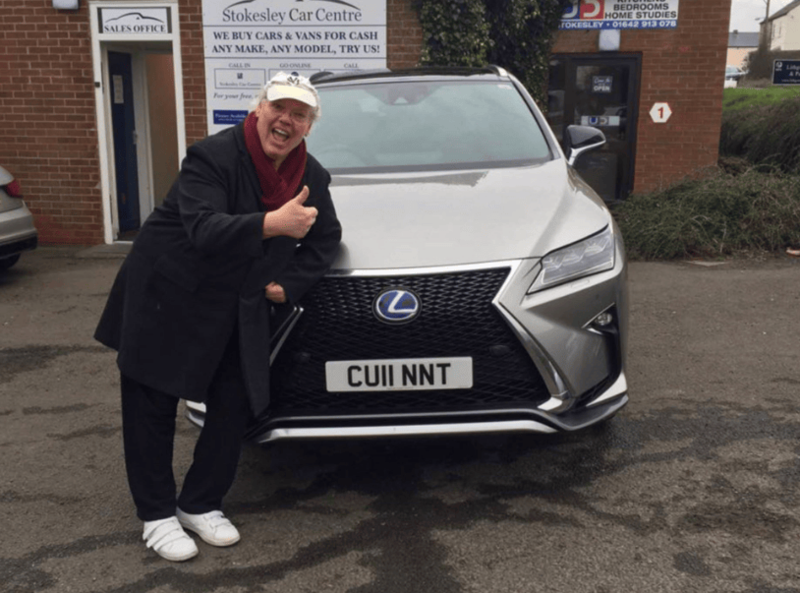 Formerly on sale with private number plate suppliers Absolute Reg, the explicit CU11 NNT plate was given a value of £6,000 after it slipped through the DVLA prohibited list in 2016. But its ban-dodging days are now over, as it has been ruled as too rude for the road. The Government licencing agency confirmed that the plate was “no longer in circulation” as a legitimate registration, forcing Absolute Reg to pull down its listing. CU11 NNT attracted a lot of attention from keen licence plate enthusiasts, and even the sellers were amazed that it had remained legal. Recently we have had loads of questions regarding legal spacing. 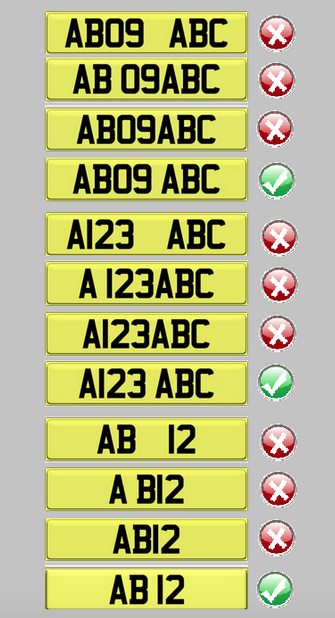 There is only one way of making them depending of your type of reg.. We have attached an image that will help you understand it further. 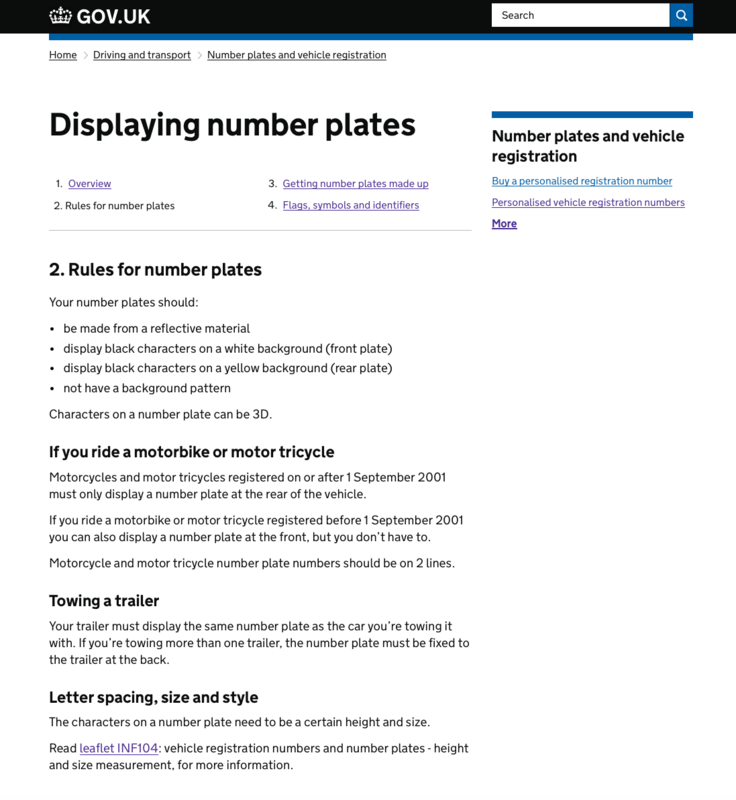 Number plate spacing CANT be changed or your plate will became illegal and will only get you in trouble. 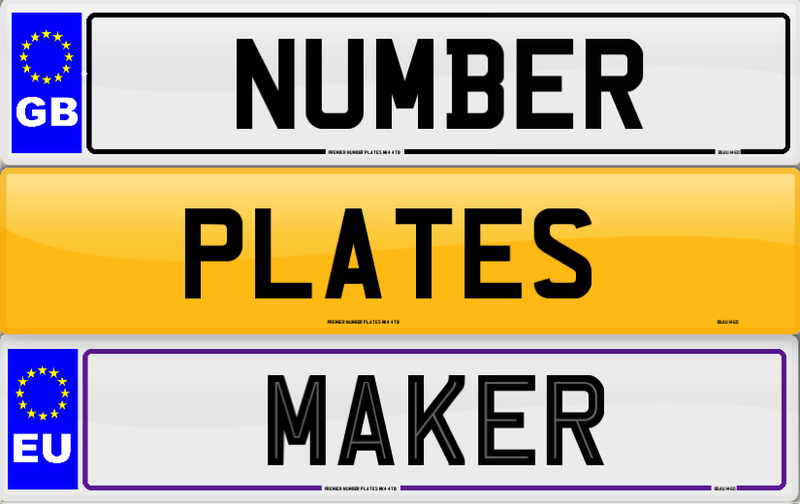 We only supply legal number plates ! A change in the law allowing national flags and symbols to appear on number plates could land drivers in trouble with police if they travel abroad, motoring organisations warned today. Transport Minister John Spellar said the Union Jack, Cross of St George, Scottish Saltire or Welsh Dragon could appear on registration plates following a DVLA review. “It is what the people of England, Scotland and Wales have asked for and strengthens their feeling of national identity,” he said. British drivers could also include the letters ENG, SCO and CYM on plates, he added as he unveiled new-style plates outside the Department of Transport, Local Government and the Regions in central London. An overhaul in the car registration system in September said drivers could only carry the EU flag and the letters GB on their number plates. Scottish and Welsh nationalists complained that many people had already been using national flags and symbols, although they were technically illegal. 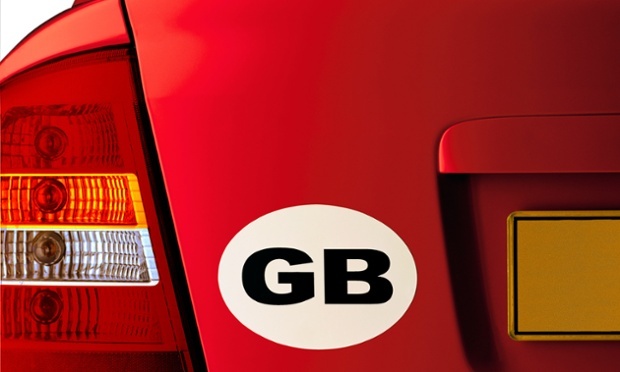 But the AA today said that many motorists with a national flag or symbol on their plates would not know that they must still display a separate GB sticker when travelling outside the UK. It was a “tremendous drawback” that not having regulation EU plates could land motorists in hot water with foreign authorities, according to head of roads and transport policy Paul Watters. “We are worried that people from Scotland, Wales or England will sail off abroad with their Saltire, dragon or St George’s cross and will fall foul of the law,” he said. Edmund King, executive director of the RAC Foundation, the campaigning arm of the RAC, welcomed the change, but said it could be a problem abroad. “I think the Government has shown flexibility in allowing it. There was an outcry by Scottish and Welsh drivers at not being able to show their nationality,” he said. Mr Spellar dismissed the claims, saying that foreign countries would be unlikely to prosecute drivers whose cars carried the new plates. “Essentially what they are wanting is a clear way of identifying the country of origin of vehicles, but I do not think they will want to prosecute people who are bringing in a lot of tourist cash,” he added. 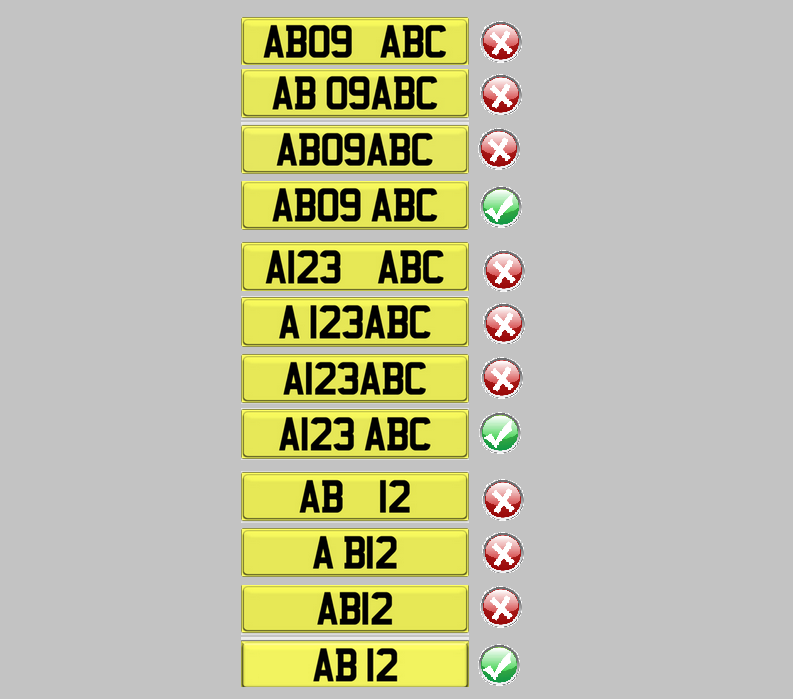 Its is a DVLA requirement that all legal number plates supplier must verify and see original documentation. No copies or digital images are allowed. This is not our rule but DVLAs instead. Customers: We dont bend the rules and you will be required to send original documentation as per the law. We inform this everywhere on our website. Please do not assume otherwise as we are very clear that we follow the law. Any questions please contact RNPS on rnps@dvla.gsi.gov.uk or 0300 123 0797 who will be able to confirm the mentioned information. We have recently received several calls from customers whose cars or bikes have failed their MOT due to displaying 3D font on their number plates. So, the question we are getting asked everyday is… ‘Is 3D font still legal, and why has my vehicle failed it’s MOT’? Quite simply, the answer is YES 3D font IS legal! After a lengthy conversation with a representative from VOSA, who stated that he too has taken many calls from MOT centres, and members of the public regarding this matter. VOSA have admitted it’s all to do with the wording in the MOT manual. At present it states ‘black digits on a white/yellow background’* In small letters under this it is stated ‘some 3D fonts are permissable’. So. it may be that MOT inspectors are not be reading the entire manual, and are stopping at the black digits part. Due to the confusion in this matter, VOSA have decided to address this problem and have re-written this section for MOT inspectors. The only issue here is, this is not being published to them until 6th June 2010. We have, however, managed to get the new wording from VOSA’s most helpful representative. It states ‘3D font MAY use grey edging OR a chequered carbon fiber effect, these and some other style characters ARE permissible providing font style is adheared to AND when viewed from approx 20 meters the characters appear predominantly black’. Firstly inform the garage they have made a mistake, and the tester is wrong, the plate is perfectly legal. Secondly, if they disagree, ask them to contact their VOSA representative who will inform them they have made a mistake. We hope this helps to clarify the situation regarding the legality of displaying 3D font on your registration plates.